Nitish Kumar's return to the National Democratic Alliance (NDA) ensured his continuance as Bihar chief minister, but events of the last two months have indicated that his Janata Dal (United) party might lose its hitherto dominant position vis-a-vis the Bharatiya Janata Party (BJP). And the BJP is clearly in no mood to remain dependent on Nitish any more. It has started focusing on the 2019 general elections, and has started chalking out its own plans. Its Bihar state unit is busy strengthening its organisation at booth levels, while national president Amit Shah's visit to the state next month is being eagerly awaited by all cadre and state-level leaders. The BJP is in no mood to be dependent on Nitish for winning elections and the party has started focusing on general election which is one and half years away. The state unit has already chalked out plans to strengthen its organization to booth levels. The state unit is eagerly waiting for national president Amit Shah’s visit next month in the state. While the JD(U) is backing the padyatra, which was supended due to torrential floods, the BJP is backing a proposed Kurmi rally by its spokesperson Rajeev Ranjan, who was once considered close to Nitish Kumar, but changed ranks and joined BJP after differences of opinion. Nitish is considered a champion of the Kurmi community, which has traditionally voted with the Koeries. In fact, the two are nicknamed Luv-Kush, the twin sons of Lord Rama. The Kushwahas or Koeries claim their lineage from Kush, while Luv represents the Kurmi community. Between the two, the Luv-Kush axis accounts for a good 10-12 percent voteshare, and they are considered the second dominant caste group within the OBC category after Yadavs (15 percent). Along with Muslims (17 percent), they have traditionally been supporting Lalu Yadav's Rashtriya Janata Dal (RJD). But 2014 was one exception, when the Yadavs voted for BJP. The Rashtriya Lok Samata Party (RLSP) leader and Union minister Upendra Kushwaha claims to represent the Koeries, As an alliance partner of the BJP, he was successful in transferring the community's votes to the saffron alliance in 2014, perhaps the first time the Kushwahas and Kurmis voted differently. In the 2015 Assembly elections, Nitish Kumar turned the tables, and got both groups to vote for his "mahagathbandhan". On the other hand, Upendra Kushwaha's party got only two seats in the 243-member Bihar Assembly. The BJP fought the 2014 Lok Sabha elections with allies Lok Jan Shakti Party (LJP) and RLSP, after Nitish Kumar pulled out of the NDA. Together the alliance bagged 31 seats while JD(U) was reduced to just two seats. But with Nitish's return to the fold, things have become complicated once again, especially with Amit Shah targeting more seats for the party. The JD(U), used to being the dominant alliance partner in Bihar, used to contest 25 out of 40 Lok Sabha seats, but that scenario can be ruled out entirely, says Shaibal Gupta of the Asian Development Research Institute, who has been advising Nitish on economic issues. Rajeev Ranjan is organising a Kurmi rally on 5 November, and other BJP leaders are likely to be in attendence. "The first Kurmi Ekta Sammelan was organised on 12 February 1994. I feel the need to unite the community again, as they are fragmented in areas like Dhanuk, Awadhia, etc. My party has nothing to do with it, but I will invite leaders," he said. Gupta said the BJP no longer wants to be dependent on Upendra Kushwaha or Nitish Kumar. They are targeting the 12 percent votes among OBC, with Baniya and Vaishya voters already in their favour. "The JD(U) will play second fiddle if it remains part of NDA. In fact, this would have been on Nitish's mind even before he decided to join hands with the BJP. Even before he broke the 'mahagathbandhan', he must have decided on this course of action," Gupta said. But he does disagree that another leader can replace Nitish as a representative of the Luv-Kush community. "Rajeev Ranjan is Nitish's school friend, but political compulsions made him to join the BJP. He is only trying to establish himself in Nalanda, Barh and Biharshareef, where the Luv-Kush play a decisive role. This is more of a personal turf war," he said. In fact, the very emergence of Nitish Kumar as a mass leader dates back to 1994, when he was with the Janata Dal, the ruling party in Bihar then led by Lalu Prasad Yadav. After three years of Lalu's tenure as chief minister, a new social formation was in the works, when the Mandal unity started crumbling and the state was witnessing mass murders on caste lines. Satish Kumar, a prominent CPI leader who was supporting the Lalu government, raised alarm bells, as Kurmis and Kushwahas, strong agricultural communities in central and south Bihar, were feeling the brunt of caste-based violence. Lalu's Muslim-Yadav equation threatened other smaller castes within the OBC set-up. Satish Kumar, himself a Kurmi, decided to unite against the Luv-Kush fraternity. Satish said Nitish was initially against the idea of calling a caste rally but he, along with Brhamnand Mandal and others, persuaded him. 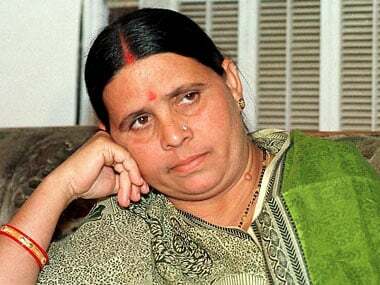 Former Lok Sabha speaker Rabi Ray, Ramtahal Chaudhary, Urmila Ben Patel, and hundreds of other Kurmi leaders eventually attended the rally on 12 February 1994. "Nitish tried to defend Lalu in his speech and the crowd at Gandhi Maidan went berserk. A few stones were hurled. I appealed and announced that Nitish was like a younger brother and a true leader of the community, and that they should let him speak. This was the true emergence of Nitish Kumar," he recalled. Eight months after that rally, George Fernandes, Bashishtha Narayan Singh, Shakuni Chaudhary and Nitish Kumar broke ranks with Lalu and formed the Samata Party. "Samata Party progressed steadily and a large chunk of OBC votes and upper castes who weren't happy with Lalu Yadav supported the party. Nitish later joined NDA and was a part of the Atal Bihari Vajpayee Cabinet," he said. However, Satish Kumar and Bholanath Singh, once considered Nitish Kumar's political mentors, are no longer with the Bihar chief minister today. 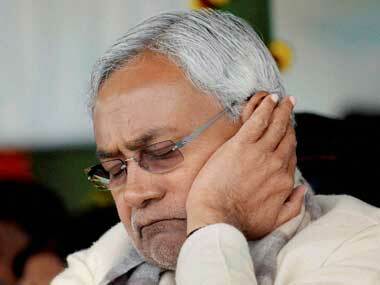 Satish rued Nitish's political opportunism and lust for power. "Nitish has completed his cycle by joining NDA-UPA-NDA. But he has lost the faith of Luv-Kush community. 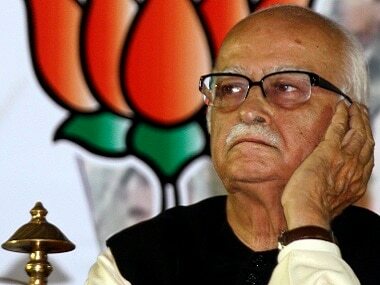 He is dependent on BJP and is unable to win even two seats on his own," he said. However, Shaibal Gupta has a different take. 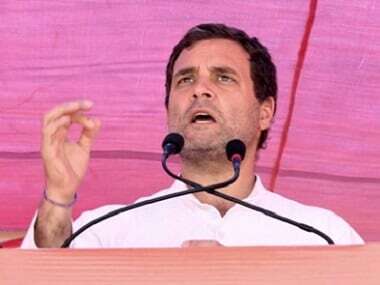 He believes the developmental agenda pursued by Nitish has changed the caste narratives in the last two decades, and he does enjoy the support of every caste in the state.